Becoming one of the largest and must trusted fashion retailers is certainly a prize to hang on the mantel. But it didn't take ASOS long to transition from selling to designing. 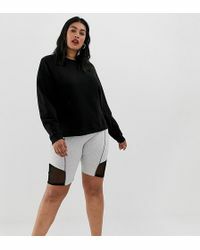 When you peruse the short collection you'll instantly recognise the brand's true talent for design. Each pair is as contemporary as it is stylish. There's an abundance of graphic designs, patterns and colours that will blend easily to a casual stroll on the avenue, to a rock concert or to a casual gala. No one will deny your modern attitude and chic taste for trend when you're pairing up with ASOS shorts.